An introduction: Maharashtra’s tradition of ‘shahiri’ is several centuries old. In the last few decades of the 18th century, under the influence of Mahatma Phule’s Satyashodhak Samaj, it was transformed into a musical weapon of the masses, against the caste system. By the 1930s, the ‘Satyashodhaki jalsa’ was in decline, but a powerful new force had emerged in its place: ‘Ambedkari jalsa’. Ambedkari jalsa represented the teachings and philosophy of Dr BR Ambedkar in oral form, accompanied by songs. Over a journey that is close to completing a century, many Ambedkarite shahirs have helped hone shahiri as an anti-caste tool. This series on Maharashtra’s shahirs explores the lives and work of 15 greats. This is part two of the series. With this proposition, if we look at the birth of shahiri and jalsas in Maharashtra, then the one thing we notice is that music – as a composition of sounds – was given a ‘social’ consciousness through shahiri. By this, I mean that music by Ambedkarite shahirs has been used to break down the shackles of social prejudices and norms, which prohibited them from ‘understanding’ life through ‘reading’ and ‘writing’. In this sense, music also became a tool to deconstruct Brahminical myths which were deeply embedded in society, thus subsequently paving the way for music to be assertive in terms of depicting the dark side of Indian social life — totally fractured and paralysed by the presence of caste in the minds of people. Shahiri, as I see it, helped to repair the minds of the people to a great extent, by singing an anti-caste tune. In a time when the masses in Maharashtra could not understand the world through the written word, music, as an articulation of pain and ‘anticipated’ and felt liberation, became the lens through which they understood the world and the oppression within it. Not just this, music also transformed into an aspect of significance for them. 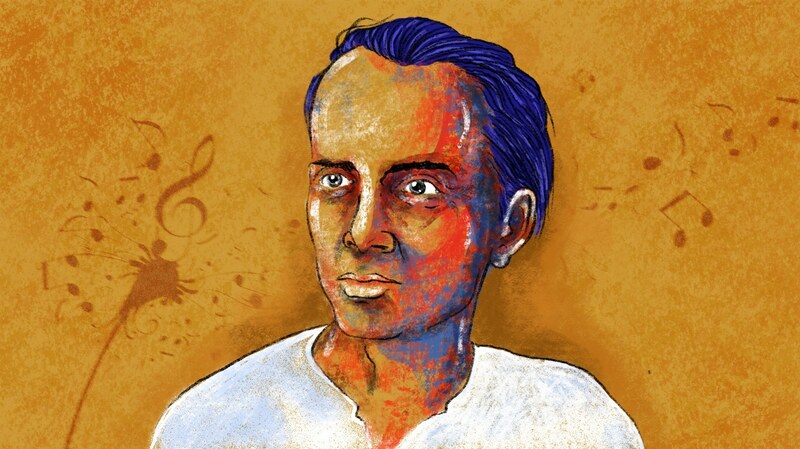 Lokshahir Anna Bhau Sathe's contribution to conscientising people — through his unparalleled shahiri, his songs, and of course, his vast body of work — is immense. Kuberachi Vasti Tithe Sukh Bhogati! Paralat Rahnare! Ratnndiwas Rabnare! Milel Te Khaun Gham Galati! Sharir Vikun Kitiaik Pott Bharati! how many bodies are sold and surviving)"
But his most powerful song was the chakkad called 'Majhi Maina Gawawar Rahili' (My Maina has been left behind in the village) which was, more or less, written during the Samyukt Maharashtra movement (United Maharashtra) that influenced a majority of the people, convincing them to see Mumbai as an integral part of Maharashtra. This chakkad, which was performed across Maharashtra and even in Delhi, caused a wave of change. While Gandhi had advised youngsters to move to the villages, Dr Babasaheb Ambedkar strongly emphasised on and suggested that the untouchables should move to cities. Untouchable workers moved to the city of Bombay in vast numbers to live a more dignified life, and most of them participated in Ambedkar’s anti-caste movement. Anna Bhau, on the other hand, remained a communist for a long period of his life. Nevertheless, he always pledged an obscure allegiance to Ambedkar, later making it public when he dedicated his most famous work — his magnum opus Fakira — to Ambedkar. 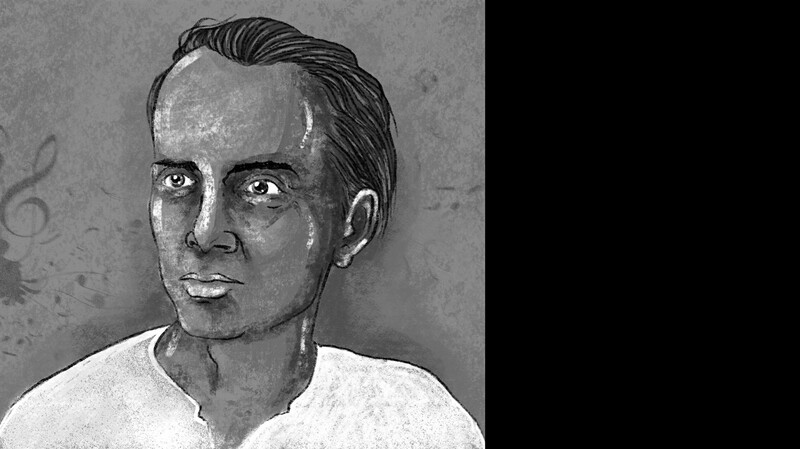 Despite him witnessing the cunning of Brahmin communists and being abandoned by them in the last years of his life, he continued to write, and more prominently, sing. He was a poet, novelist, tamasgir, and shahir. But most of all, Anna Bhau was the person who provided the music that would heal the wounds of untouchable workers. Many decades have passed since his death, but his chakkad 'Majhi Maina Gawawar Rahili' still moves people deeply, whenever it is played. It is considered a classic in the history of shahiri in Maharashtra. Through this song, he voiced the pain of an entire generation of untouchable workers, who migrated from the villages to cities in search of a life of dignity. Note from the writer: The song presented with this article was originally written and performed by Lokshahir Anna Bhau Sathe. As this song isn't available in the audio format, it has been composed and performed by Charan Jadhav for the purpose of this series. This is an acknowledgment of his contribution. Yogesh Maitreya is a poet, translator and founder of Panther's Paw Publication, an anti-caste publishing house. He is pursuing a PhD at the Tata Institute of Social Sciences, Mumbai. Read part one, three, four and five of the series.